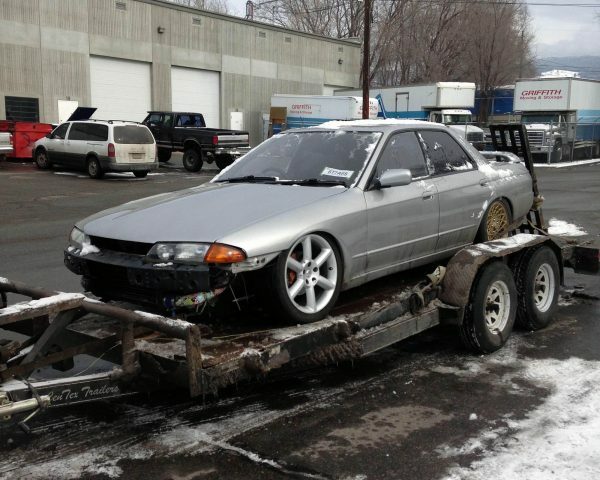 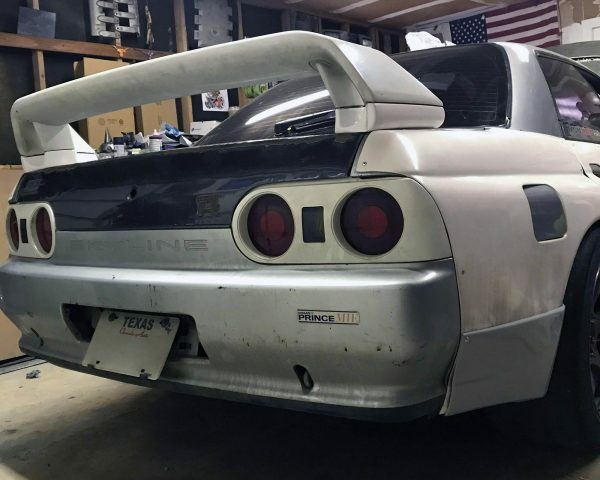 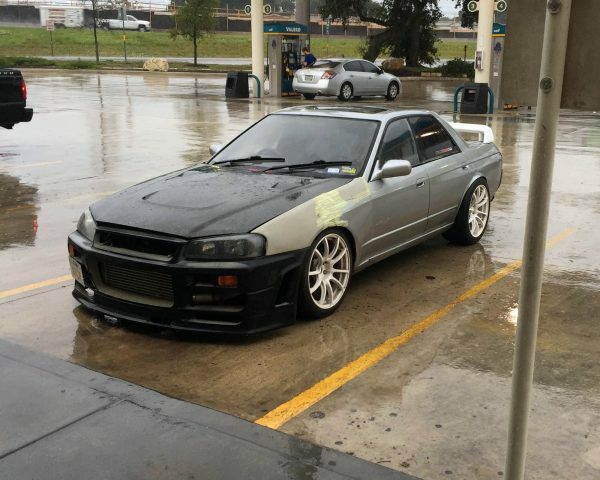 Ryan Gordner has spent the last four years daily driving a modified Nissan R32 Skyline sedan. 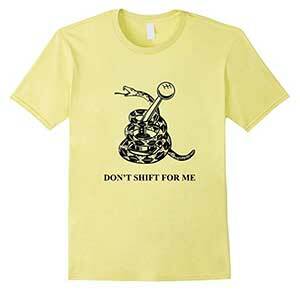 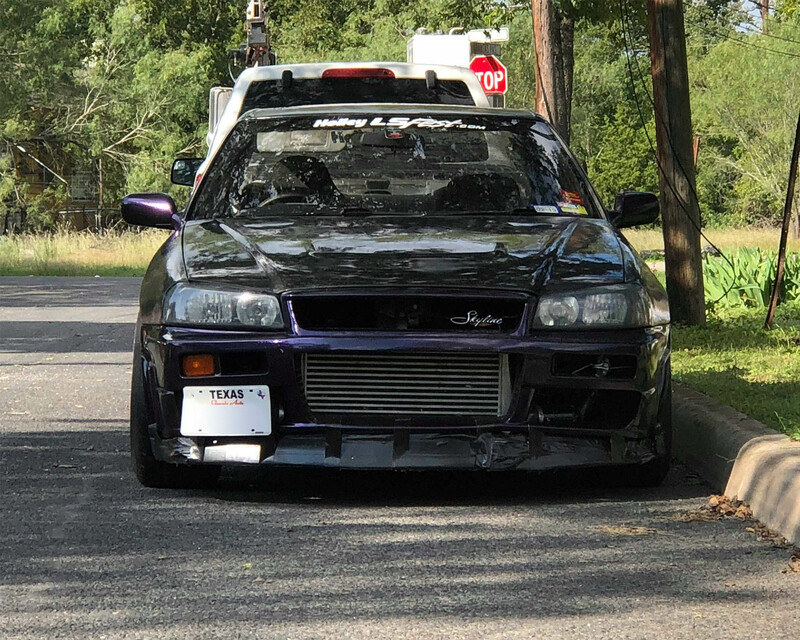 All the work was completed by Ryan in his garage in Texas. 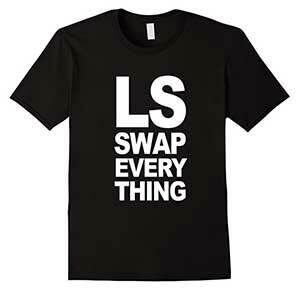 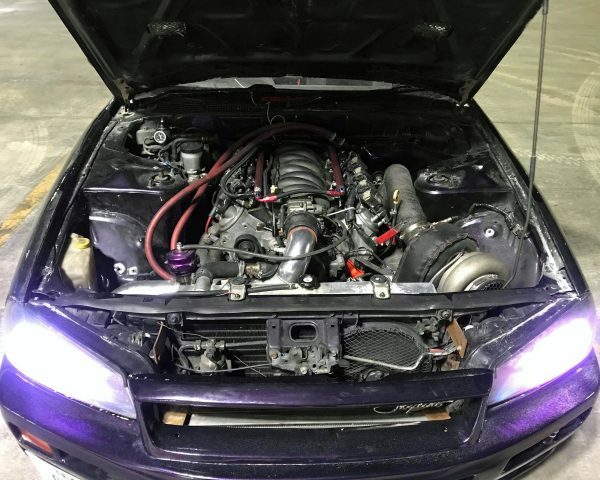 The project started when he replaced the underperforming 2.0 L RB20DET with a turbocharged LSx V8 using custom mounts. 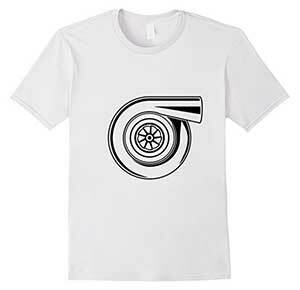 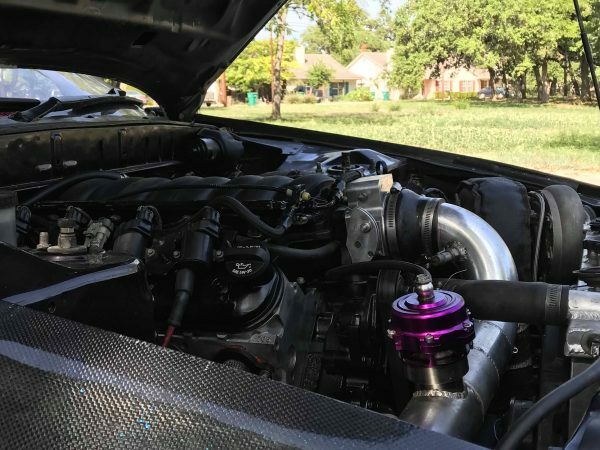 The engine features a 4.8 L LR4 V8 with an iron block, Texas Speed 224/.600 camshaft, and 88 mm GT45 turbocharger. 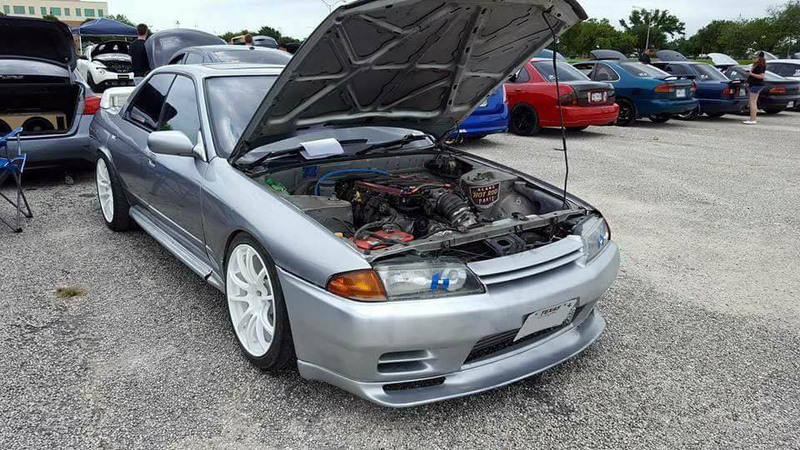 The car hasn’t seen a dyno but clearly makes enough power to put on a good show at LSFest. 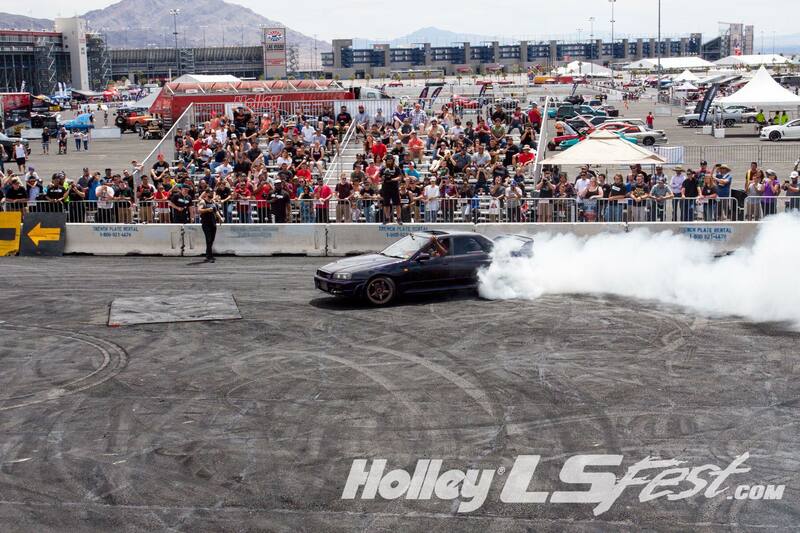 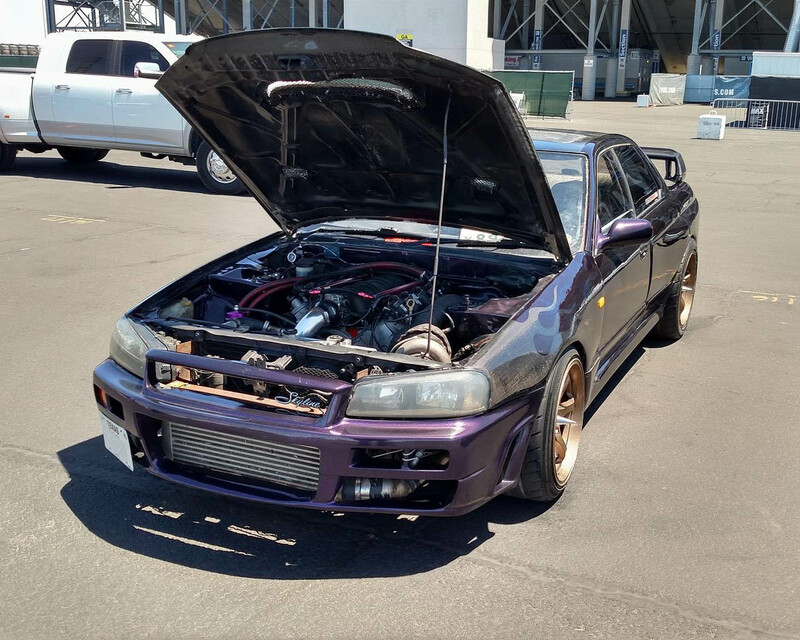 Ryan also replaced the factory Nissan RWD drivetrain with a T56 six-speed manual and LS7 clutch, custom steel driveshaft, and Infiniti Q45 differential with 3.54 gears. 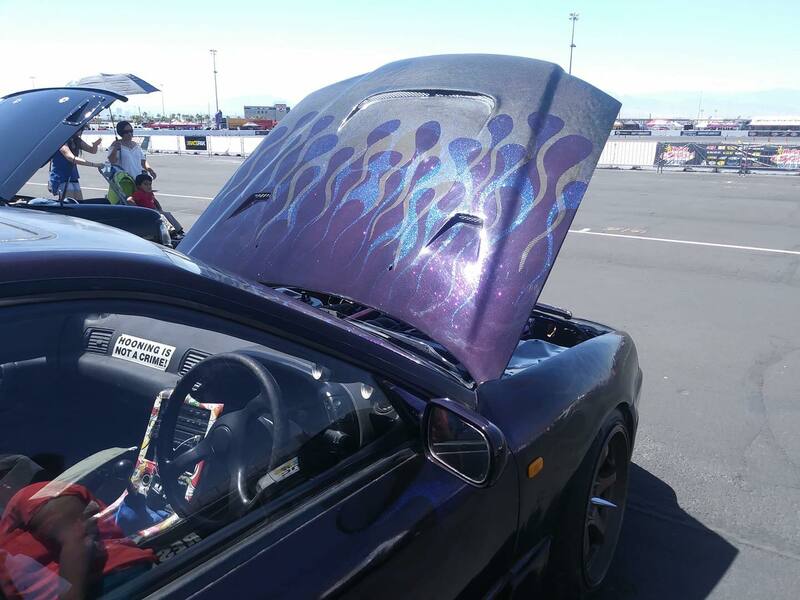 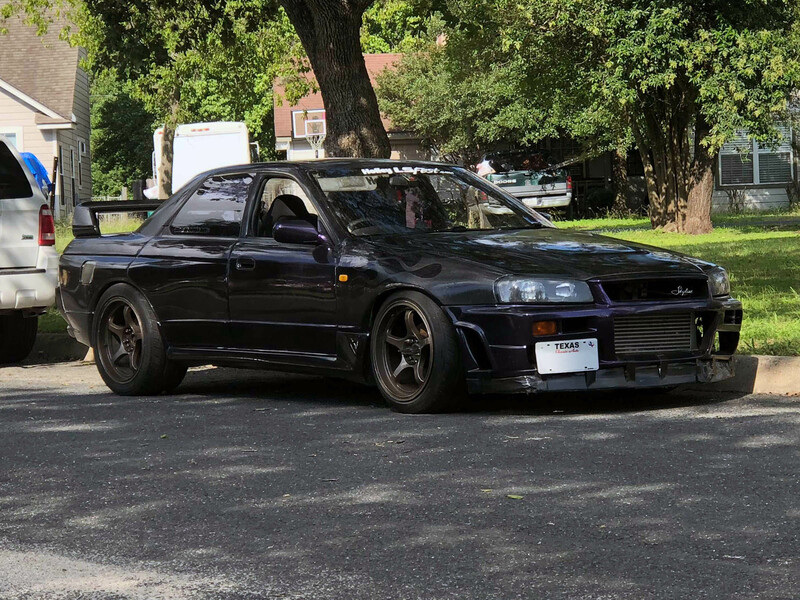 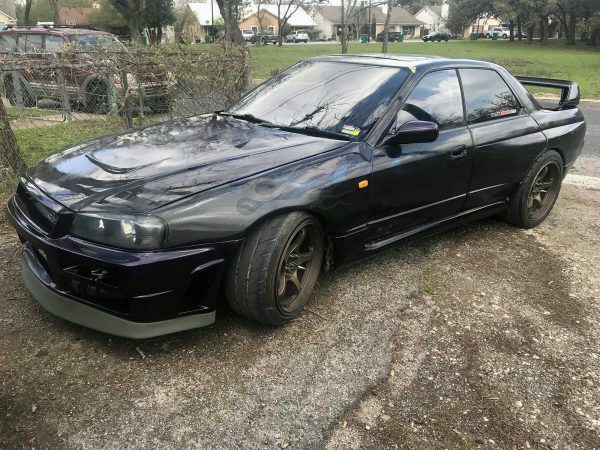 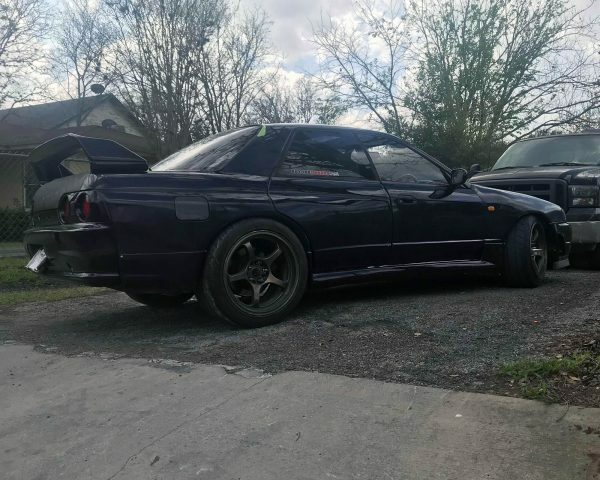 He accented the exterior with a widebody kit, carbon fiber hood, R34 GTR front, R32 GTR rear, and purple paint. 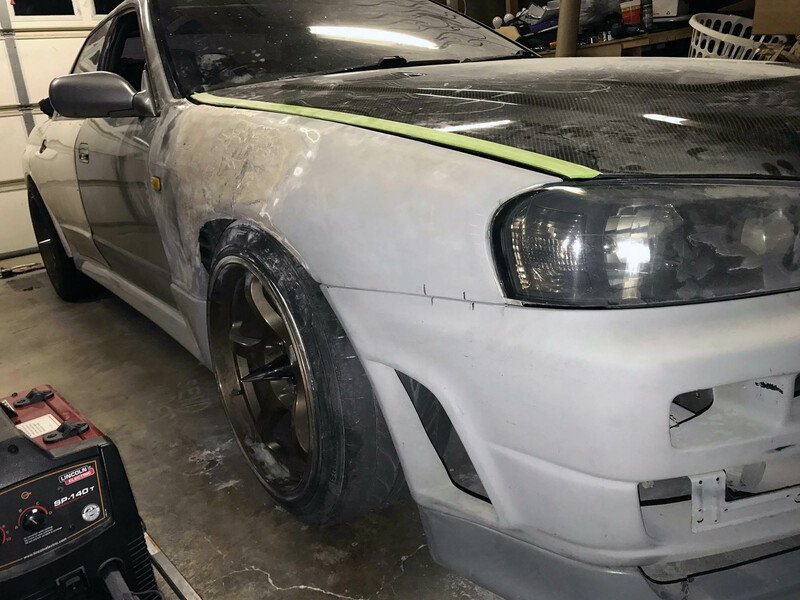 Ryan has enjoyed the project so much, he’s begun building another one.